Red Raspberry Leaf is one of the most well-known and widely used herbs for women of childbearing age. It is highly nutritive and has a special affinity for the uterus. It is the best preparatory herb for pregnancy, as it is so effective in toning, strengthening and bringing over-all health and vitality to the uterus. It is also a great fertility-promoting herb, especially when used in combination with Red Clover and Peppermint (as it is in Herb Lore's Pre-Conception Tea and Pre-Conception Tincture. helps the uterus recover after birth, assisting in postpartum recovery. NOTE: Some sources claim that Red Raspberry Leaf can start uterine contractions, but this is not necessarily true. Red Raspberry Leaf is one of the most widely used and safest of all the uterine/pregnancy tonic herbs. It contains fragrine, an alkaloid which gives tone to the muscles of the pelvic region, including the uterus itself, but does not stimulate the uterus or cause contractions. It does not even strengthen contractions during labor, but it does allow the contracting uterus to work in a more efficient and effective way, and thus, may make birth easier and faster. 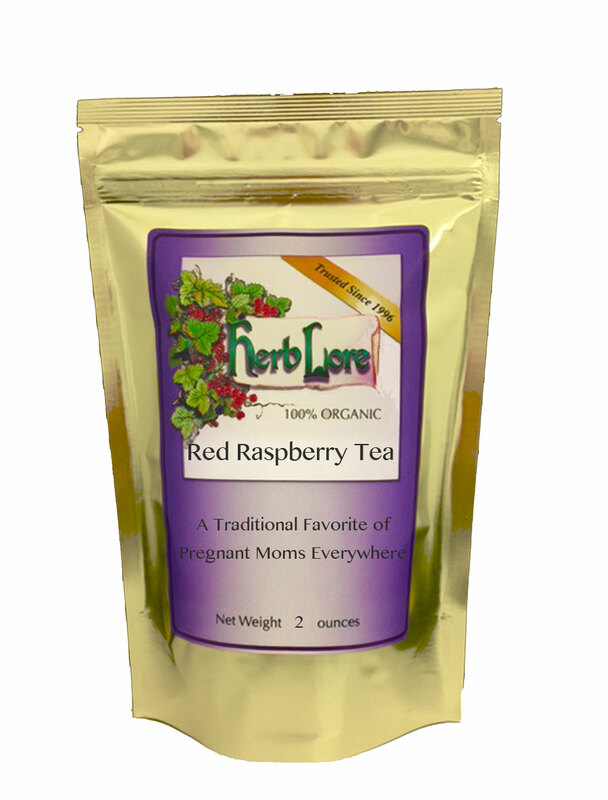 Red Raspberry Leaf is one of the main ingredients in Herb Lore's Pregnancy Tea, Pregnancy Tea Tincture, and Pregnancy Tea Plus Tincture (used for the last six weeks of pregnancy).